Radio Frequency Body Contouring (also known as skin tightening) is becoming very popular because it helps remove fat, tighten the skin and improve tone, without any pain or downtime at all! It’s a pretty versatile treatment since it can help reduce flabby skin, contour and tighten a post pregnancy tummy, reduce saddle bags and even lift and tighten your bum. (RF) Radio Frequency Body Contouring heats the skin to over 104 degrees which safely and comfortably minimizes the appearance of cellulite dimpling and fatty bulges, while simultaneously tightening the skin and improving the contours of the target area(s). At the deepest level, the RF alters the network of connective tissues that hold the fat cells in place, pulling them closer together so that the cellulite does not bulge out and create the well-known rippling we associate with cellulite. RF also targets the fat cells themselves, causing them to shrink in size, which has the affect of slimming down the target area. Finally, RF energizes the body’s own natural responses by stimulating the lymphatic system to aid in the drainage of unwanted toxins and encouraging the body’s natural production of collagen and elastin to reduce skin laxity, strengthen the skin, and improve the physique of the target area. The final result of this powerful deep heating is a slimmer, more toned physique. Most people will be able to notice an immediate result in the tightness of their skin, but results continue to emerge in the days following the treatment too. Skin is remarkably smoother and muscle tone is more visible too. Normally, multiple sessions are required, generally 1 per week until you’ve had about 6-12 treatments in total, this depends on the results you want. Normally there are no side effects from the treatment, but some people might find the treatment area is a little red post treatment but this usually resolves after 30 mins post treatment. Skin laxity is unfortunately something that happens to thousands of people, whether it is a result of aging, weight loss or genetics. Radio Frequency instantly tightens the elastin fibers leaving skin looking tighter and lifted from the very first treatment. Radio Frequency Body Contouring effectively works to break down cellulite causing fat cells meaning it is fantastic at treating the dreaded ‘orange peel’ so many of us battle with. Stretch marks affect thousands of people, regardless of age or situation. Radio Frequency treatments target the problem area, stimulating elastin and collagen to get rid of stretch marks. 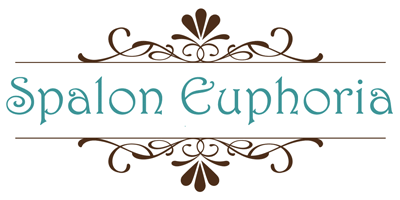 RF Body Contouring is one of the latest additions to the treatment options available at Spalon Euphoria for the body. This safe, non-invasive, no downtime treatment is ideal for tightening loose or lax skin and aids cellulite reduction resulting in a better appearance of the ‘orange peel’ effect. And does it hurt? No! It feels like a hot stone massage. All in all, RF is a great non-surgical method to help tighten skin and reduce cellulite. It has proven to be extremely effective time and time again. So, are ready to experience the benefits of Radio Frequency Body Contouring for yourself?